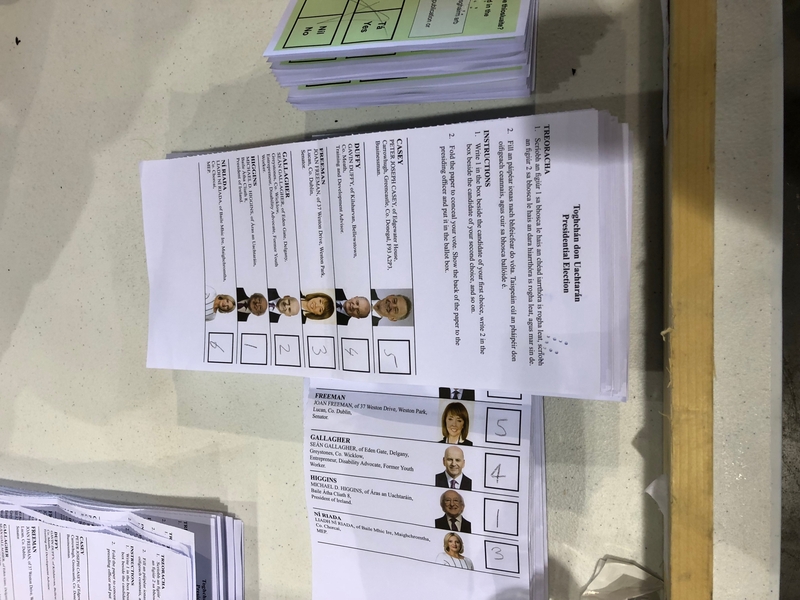 Counting has begun at Punchestown for both Kildare constituencies in the Presidential Election and the Blasphemy Referendum. Boxes were opened at 9am and counters are now sorting between the two ballots. The Leinster Leader should have some indication of tally results in the next hour or so. Thereafter stay tuned to our Facebook page, our Twitter account @leinsleadernews and at Leinsterleader.ie for updates.